Raven's Home is a spinoff of the popular That's So Raven. The Proud Family went out with a bang by ending the series with an hour-and-a-half movie which pitted Penny (Kyla Pratt) and co. against the peanut-obsessed clone of Dr. Carver (Arsenio Hall). In the end, good triumphed over evil, and Penny, LaCienega (Alisa Reyes), Zoey (Soleil Moon Frye), and Dijonay (Karen Malina White) got to perform at Wizard Kelly Stadium. LPDZ had a huge career in front of them so we’d like to see the band’s rise to fame Big Time Rush style. During its time, this girl group’s catchy lyrics and killer dance moves were only rivaled by The Cheetah Girls, so we’d by lying if we said we didn’t want to see them win some Grammys…or would it be Kellys? Long before Aly Michalka was working for zombies over on The CW, she was a high school student with a crush on a boy from the 22nd century on Disney Channel. Sadly, Phil (Ricky Ullman) and Keely’s love story was doomed from the start as Phil ultimately had to go back to the future…which he finally did in the series finale, immediately after the two lovebirds decided to officially become a couple. During his stay in the present, Phil showed Keely all kinds of cool gadgets—one of them being The Giggle, which allowed Keely to see herself in the future. Keely noticed that she was wearing a wedding ring but declined the offer to see who the lucky man is. The Diffys may have returned to pick up caveman Curtis (J.P. Manoux) in the last minute of the series, but fans are still hoping Phil returned once again to pick things up with Keely where they left off. With time travel shows such as The CW’s DC’s Legends of Tomorrow and NBC’s Timeless gaining mainstream popularity, here’s hoping Disney Channel decides to turns back the clock and create a spinoff that gives Pheely shippers all the feels. From Charmed’s Halliwell sisters to Once Upon a Time’s Emma Swan (Jennifer Morrison), the “chosen” protector of magic and magical creatures has always been a common TV trope. Disney Channel’s take on it in the mid-00’s was “the mack-daddy dragon of the NYC”, Jake Long (Dante Basco). Along with best friends Trixie (Kali Troy) and Spud (Charlie Finn), Jake battled the forces of evil—all while trying to maintain a relationship with his archenemy, Rose (Mae Whiteman) aka Huntsgirl, and survive middle school. The series ended with Jake having jogged Rose’s erased memory, Jake’s dad (Jeff Bennett) finding out his family’s magical secret, and everyone living happily ever after. However, the one story we want to see continued is that of Jake’s younger sister, Haley (Amy Bruckner). She also shared her brother and grandfather’s dragon powers but we rarely got to see her in action. The CW’s Supergirl is all about a heroine trying to make a name for herself and come out of the shadow of a more famous family member and we can definitely see Haley trying to do the same. Kim Possible left a huge mark on the 00’s pop culture landscape. Long after the series ended, teens continued to use its fun catchphrases like “What’s the sitch?” and set their ringtone as the famous Kimmunicator beep. However, there’s nothing more significant this show did than prove that it is “possible” to escape the dreaded friend zone. Kim (Christy Carlson Romano) and Ron (Will Friedle) were always going to be endgame so it was no surprise that after high school graduation, they flew away (Grease-style) and sealed their relationship with a kiss. With Kim’s cheerleading/crime fighting skills and Ron’s Mystical Monkey Power (and, of course, loyal naked mole rat Rufus by their side) whatever the future holds may be “so not the drama” for these two but we definitely want to be along for the ride. Anyone hungry for a naco…? Disney Channel struck gold with this story about a normal girl living a double life as a secret pop star. Hannah Montana skyrocketed Miley Cyrus to music royalty, all while teaching young girls (and boys) everywhere that “nobody’s perfect” and “life’s what you make it”. The series ended its five-year run with Miley forgoing the opportunity to shoot a movie in Paris with Steven Spielberg and Tom Cruise and joining her best friend, Lilly (Emily Osment) in college. Fans of this show were granted one final wish when The Wizards Return: Alex vs. Alex aired a little over a year after the series officially ended. Set shortly after “Who Will Be the Family Wizard”, the hour-long special episode brought us along for the Russos’ family vacation to Italy and gave us a little glimpse into what life is like for Alex (Selena Gomez) now that she’s the Russo Family Wizard. After Boy Meets World and The Suite Life of Zack and Cody, That’s So Raven is the next Disney Channel series to score its very own spin-off. Following in the footsteps of Girl Meets World (and Netflix’s Fuller House), Raven’s Home centers around the main characters of its parent series (Raven-Symoné as Raven Baxter and Anneliese van der Pol as Chelsea Daniels, in this case) and introduces us to their kids. 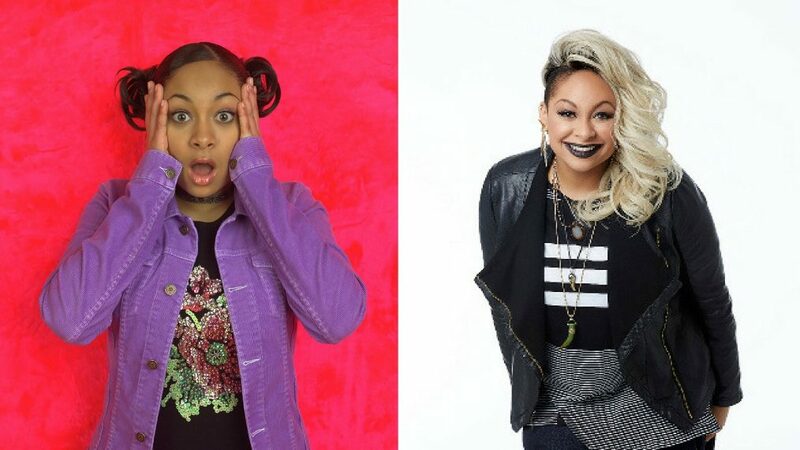 However, as '00s kids will remember, what made That’s So Raven stand apart from Disney Channel classics Even Stevens and Lizzie McGuire is that the crazy situations Raven got herself into were always a result of her misinterpreting her psychic visions of the future. No doubt her son Booker (Isaac Ryan Brown) will find himself treading similar waters when he learns that he’s inherited his mom’s supernatural ability. If you were a fan of 'That's So Raven,' this will feel warmly familiar. The nostalgia is strong with this spinoff, and it’s leaving us yearning for the good old days of DCOMs and Disney Channel Games. With that being said, check out the gallery above for six other Disney Channel original series we’d love to see get the spinoff treatment.